No doubt that cigarette will kill you, but not in the vintage era! 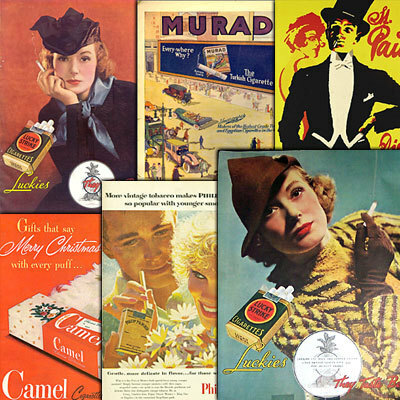 In the vintage era smoking is widely accepted, and this is demonstrated futher in this vintage cigarette poster advertisement collection. This package is included of 289 vintage cigarette poster advertisement back from WW2 era to the 70s. * 289 Vintage Cigarette Poster advertisement. * High Resolution format included. * Personal & Commercial usage nature friendly!